Etegami is a short letter, or quote, with a heartfelt drawing that shares the artist’s feelings at a particular moment with a family member or friend. 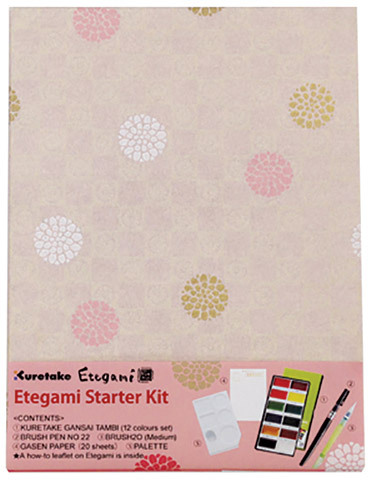 This starter kit features one each of the following including a 12-color Gansai Tambi Watercolor Set, a package of Gasen Paper, a palette, a medium Waterbrush, a Brush Pen No. 22, a small Kumatori brush, a storage case and an informational leaflet.